Recently there have been conversations about the use of anonymity in heavy metal whether for protection, enhancement, or downright hype. Though anonymity can certainly divorce the music from its creator leaving a dark entity removed, it can also be used as a silly promotional tool. Swarþ (sort of pronounced SwarTH) is an entity which has existed since 2013 without name, country, or any real information. 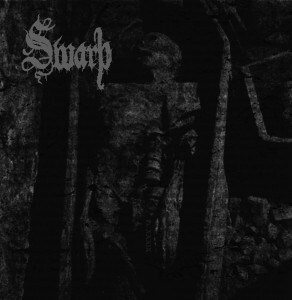 Their releases come without titles and were released by the British label Exitium Productions, In fact, the labels first release was Swarþ’s demo. Despite the layer of anonymity being only so deep, the veil of silence which accompanies Swarþ is certainly enough to chuckle but never enough to detract from the music. Veneficivm is a perfect place to start with Swarþ only becasue the two songs hold much in the way of variety. The production on the latest release is balalcned as not to sacrafice the obvious smoldering qualties of the music. The band’s releases from Exitium Productions were mired in low production but since moving to Iron Bonehead as had all of the fuzz washed away. This production boost makes the snarling vocals from the unnamed vocalist much more threatening and the swirling guitar work from the other unnamed musician so much more dizzying. If one was interested in this particular sound, then the Iron Bonehead compilation Omines Pestilentiae has literally everything the band did up until that point and has the same approach. If anything negative can be said about Veneficivm and perhaps Swarþ in general is their incredibly short running time. Veneficivm runs at 12 minutes contrasted with 14 for their debut demo and a hefty 18 for their 2013 demo. It is almost comical to think their compilation of past material only was 24 minutes of music and this is near infuriating when it is interesting and effective black/death. With guitars which pound like hammers and a vocalist who can growl as much as he or she can whoop and cry, Swarþ has always been interesting despite the procession of miscellany that follows them. The weird occult imagery which adorns their releases and cryptic passages embedded in their songs is only enhanced by the band’s refusal to put out more goddamn music. Maybe its working after all.